Illustrator CC is the industry-standard vector graphics software used worldwide by designers of all types, and it’s available only in Creative Cloud. Select an entire artboard or choose individual assets from one or more artboards, and export them to multiple sizes, resolutions, and formats in a single click..
Control assets in read-only Creative Cloud Libraries so they can be used by team members, but not changed or deleted. Send automatic updates to your shared libraries, so everyone’s working with the latest version. Find the assets you need faster with a larger Libraries panel, new filtered search of Adobe Stock, and icons that make it easy to identify licensed Stock assets. Use Capture CC on your mobile device or desktop to turn photos into vector shapes, colors, and brushes for your Illustrator designs. Browse and purchase premium curated images from Adobe Stock—right inside Illustrator. Right-click a stock image to do a visual search for similar images. And drag and drop Stock search results from your Library panel right into your canvas to start using them right away. What are the touch-enabled features in Illustrator CC, and how can they be used? For customers using Windows tablets, Illustrator CC offers a Touch workspace that surfaces the essential tools and controls for drawing and editing with a pressure-sensitive pen and multitouch gestures. Illustrator CC also brings multitouch capabilities to the Touch Type, Free Transform, and Path Segment Reshape tools. These touch capabilities provide new ways to work with natural, intuitive gestures right on the screen when using display devices that support multitouch, such as the Wacom Cintiq 24HD touch display or Windows tablets. 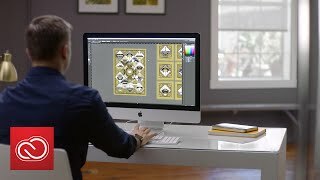 What hardware is recommended to make Illustrator CC run faster? With native 64-bit support, Illustrator CC can take full advantage of the available RAM on your system. Many users will see additional performance gains as they add more RAM, with 8 GB of RAM being a good baseline, particularly if you run multiple applications simultaneously. Will my existing plug-ins work with Illustrator CC? Plug-ins designed for earlier versions of Illustrator will not work with Illustrator CC and must be updated. Vendors of the more popular plug-ins have been working to make new versions available as quickly as possible. For more information, contact the plug-in manufacturer directly. Adobe Illustrator CC is available as a standalone application or as part of the Creative Cloud Collection on both monthly and annual plans plans.